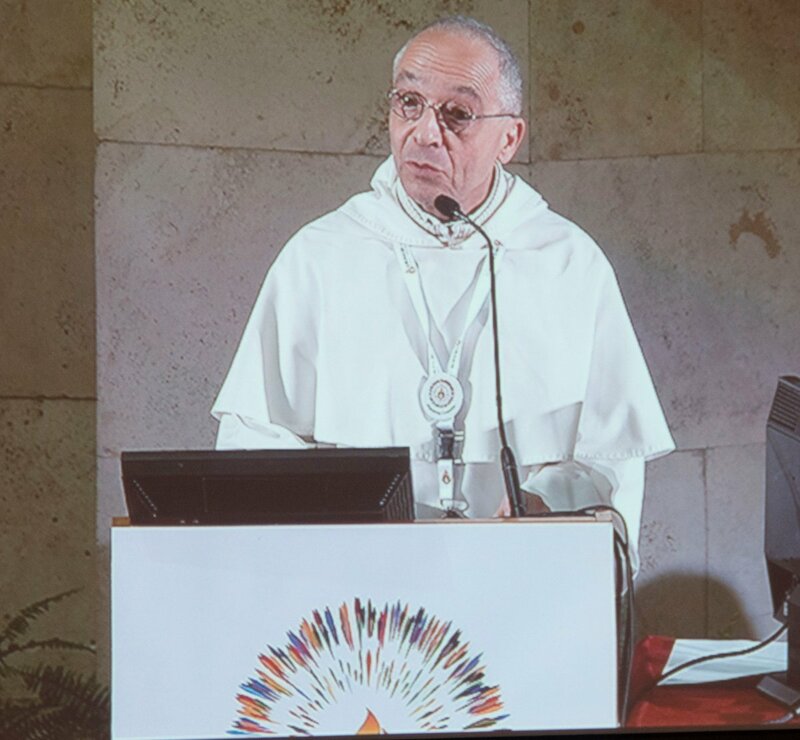 In the wake of the Congress for the mission of the Order with which we closed the Jubilee celebrations, I would like to share with you the joy and gratitude that I expressed at the conclusion of the Congress. In addressing to you this letter which contains these conclusions, I wish to invite the whole Order to reap the fruits of this Congress and, more broadly, of the grace of the Jubilee. 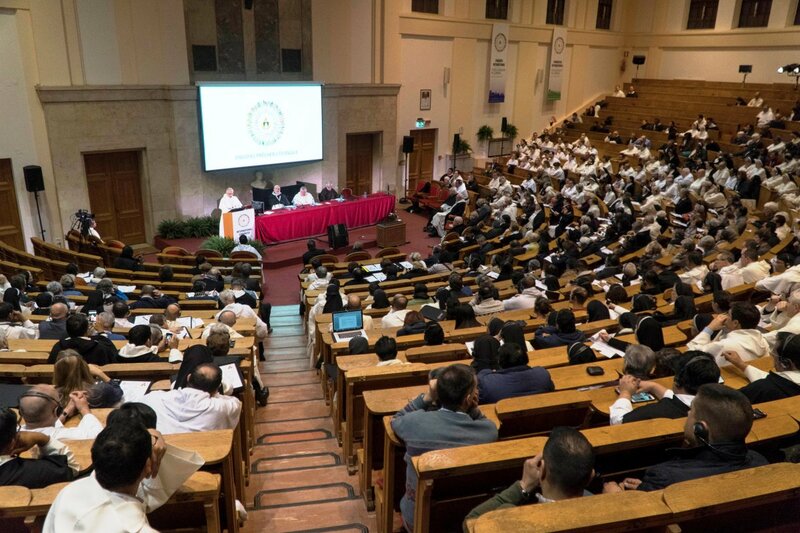 Joy at having lived these four days of encounter for the members of the Order, meeting brothers and sisters, countries, languages and cultures, different generations, very diversified faces of the Church. Joy, in the midst of all this, of an experience of profound unity, a sort of « common home » where the Word is heard, gathered, shared, celebrated and preached. Joy and gratitude, because all this has enabled us to become even more aware that it was a grace given by Another. A shared grace, whatever the specificity of each of the branches and entities to which we belong, a grace dispensed in fragile clay vessels very often, but with confidence in the One who, always, accompanies and precedes the men and women He sends. This feeling of « common house », has led us all, I believe, to recognize ourselves in one face, that of Dominic who, guiding us on the path of following Christ the preacher, offers us an adventure of preaching in the way of « Proclaiming the Good News of the Kingdom through the towns and villages ». This preaching is not at first declined according to the opposition between the inside and the outside of an already established Church. Rather, it is crossed on the one hand by a tension between the impossibility of moving forward « without » (without the victims, without the wounded memories, without the refugees who are ours, without the sinners, without the men and women of good will, without the other quests for truth, whether they are believing or not), and on the other hand, the deep desire to learn to move forward with the conviction that, by doing this, one also learns how to move forward with God. We each carry this desire, and in a common way, in a world that we love, that we want to learn to love, by developing the capacity for contemplation. Like any true love, it is demanding. It is the requirement of the lucid and realistic gaze that allows us both to read and to deplore the ravages of a global war which disfigures it and accumulates systemic victims, and which knows how to identify the opportunities of places and realities where the human being manifests his ability to resist what diminishes, disfigures or degrades the human being. It is a world that is the place where the human being can discover the humanity of which he is capable, this shared humanity which allows him to face the trials of life, to surpass them, sometimes to knock over what provokes him, to be more and more convinced that it is precisely through the humanity of the human which makes to be good, generous, capable of forgiveness, in solidarity, that everything can, ultimately, end in a beautiful way, unexpected perhaps, but hoped for. It is in this world, for this world we should also say, that we are sent to preach. 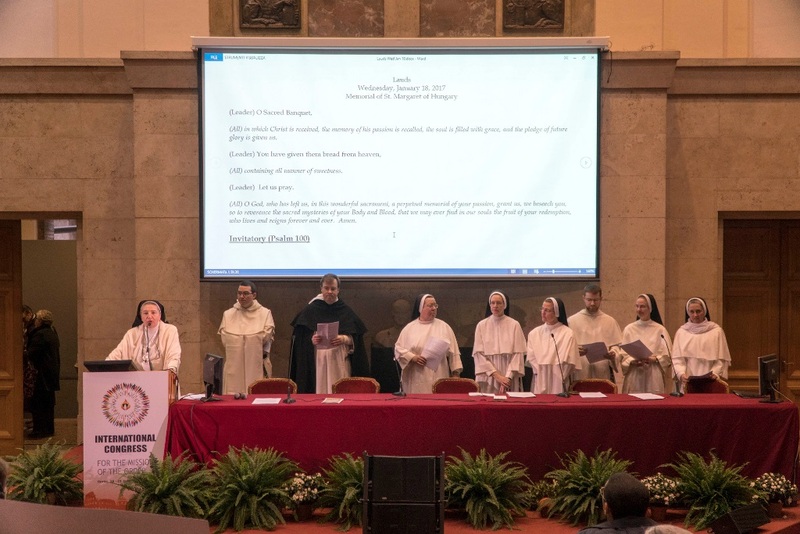 And we see in this sending that which constitutes our unity, to all of us Members of the Order of Preachers, brothers, nuns, laity, apostolic sisters of congregations aggregated to the Order, Secular Institutes, priestly fraternities and the young people of the Dominican youth movement, and so many friends. Sent to serve, through the ministry of the evangelization of the name of Jesus Christ, the mystery of the grace of the Word. Yes, a lot of joy and a deep gratitude, to belong to this family !